Mini excavators, also known as compact excavators have become very popular nowadays. This is because of their impressive combination of size and versatility that enables them to confidently fit and maneuver into tight spaces where larger excavators or backhoes would not. A mini excavator is best suited for small to medium projects which include, digging trenches and holes, servicing sewer lines, creating irrigation systems and bringing down small buildings. When driving and operating a mini excavator, several factors should be considered to ensure safety and efficiency of the machine. Here are 5 things you should know about a mini excavator before driving one. Probably the most important thing you should know about a mini excavator is that it should be inspected frequently to ensure that all the moving parts are functioning properly. Failure to maintain your machine could result in safety risks as well as a reduction of the mini excavators lifespan. Before the start of a working day, ensure that the excavator is clean. Remove any mud, debris and rocks that could accumulate and cause undercarriage buildup. Once in a while, inspect the undercarriage and look out for uneven wear and missing components. Should you notice any components out of place, ensure that proper maintenance and repairs are done before driving the excavator again. Do not attempt to repair the machine yourself if you are not qualified. Call an expert to do it for you. Before driving a mini excavator, you will require adequate training in the safe operation of this machine. Mini excavators are not for amateurs. They require skilled and professional workmanship. Read the operators manual and understand all the manufacturer’s instructions. You should get health and safety training as well in order to attain maximum value. Before you become a natural in driving a mini excavator, you will need to practice driving until you become confident and comfortable behind the wheel. Practice under the guidance of a professional. Start by driving on level surface ensuring that there is no one on your path. Remember to always belt up before starting the excavator. A mini excavator is a large equipment that can hurt you if handled inappropriately. Many operators have suffered severe injuries such as lost limbs and for others; their lives have been cut short. Look after yourself. Always follow the best practices. Wear protective equipment where necessary. Also, if you are working in very dusty areas, ensure that you carry a dust mask to protect yourself from silicosis. If you will be driving on sensitive surfaces such as pavements, grass or asphalt, ensure that you get rubber tracks for your mini excavator. Rubber tracks give the machine good floatation and minimize ground disturbance. With good rubber tracks, you can pull through the heaviest mud with ease. These benefits have made rubber tracks the perfect alternative to steel tracks. There you go. 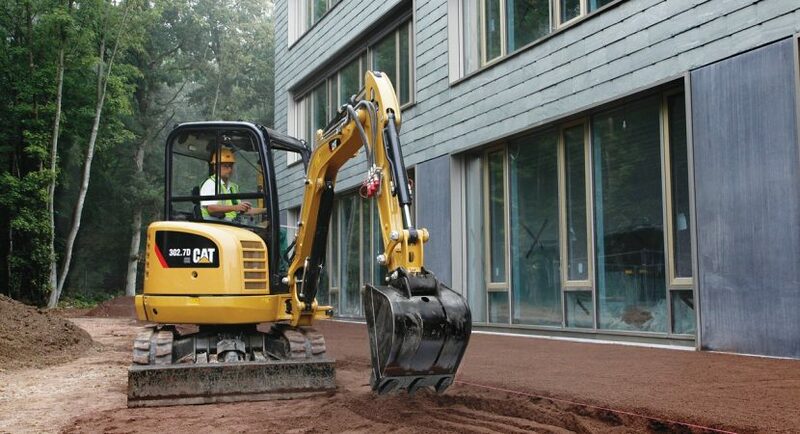 5 things you should know about a mini excavator before driving one. Need to replace your worn out rubber excavator tracks? Talk to Fortis Tracks for the best and highest quality parts for your equipment. With same day shipping and a 2-year warranty, you can’t go wrong with Fortis tracks.